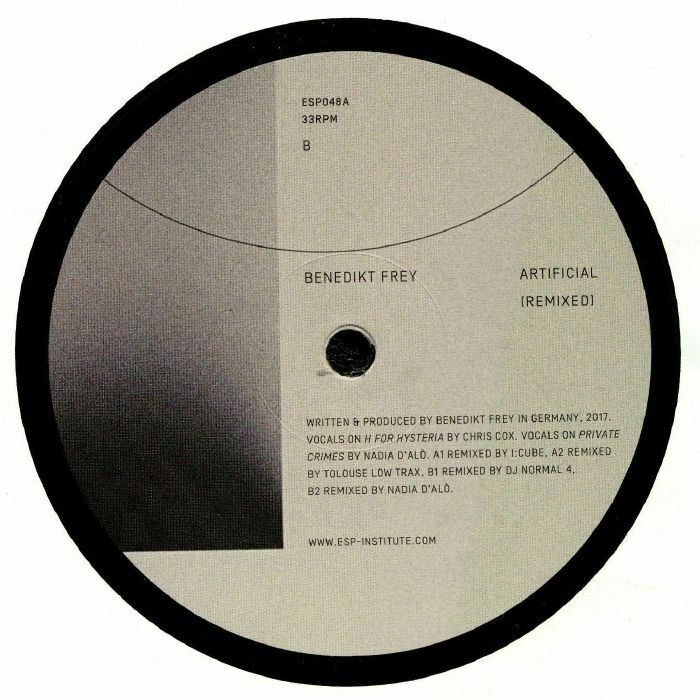 Benedikt FREY Artificial: Remixed vinyl at Juno Records. Darmstadt's Benedikt Frey delivered a terrific fine player last year on Los Angeles' imprint ESP Institute, that proved there was some stylish diversity within his sonic repertoire. Since then, he's also impressed as remixer, like on his great rendition of Carl Craig's classic "Domnia" but now it's time to have his own tracks reworked. 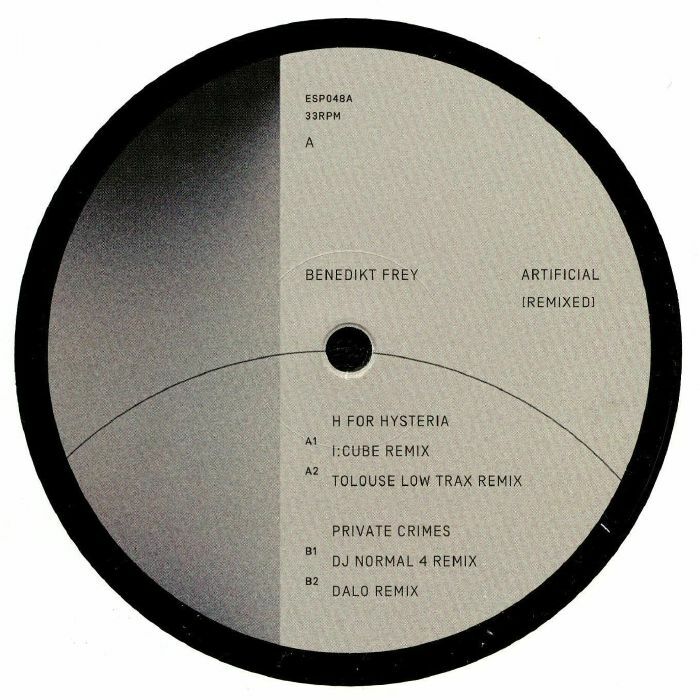 There's some fine talent onboard here for Artificial: Remixed: Versatile main man I:Cube steps up first to recreate "H For Hysteria" merging a diverse array of influences within his charming and hypnotic perspective of the track. Dusseldorf's enfant terrible Toulouse Low Trax delivers some fine minimalist rhythmicity as always on his oddball version of the track. The B side belongs to two versions of "Private Crimes" by lesser known artists - our pick was Frey's close collaborator DALO and her hard hitting and tunnelling techno rendition.